If talk about gutting, or even abolishing, the Environmental Protection Agency, has you down, here’s a story about action at the local level that made a difference. 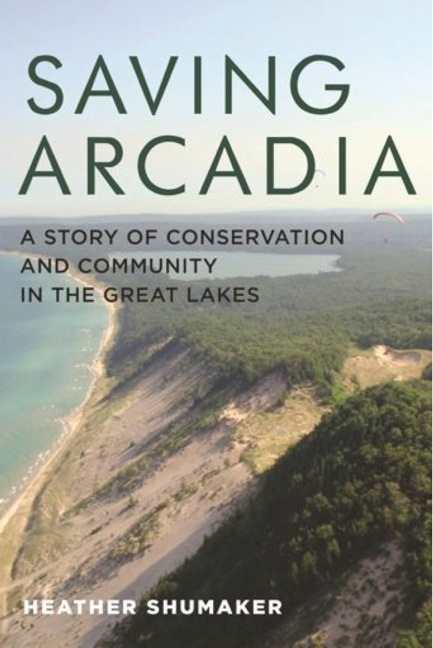 When an energy company wanted to turn a beloved sand dune in Michigan into a golf course, citizens got together and, with local businesses, found a way to save Arcadia Dunes off the shore of Lake Michigan. 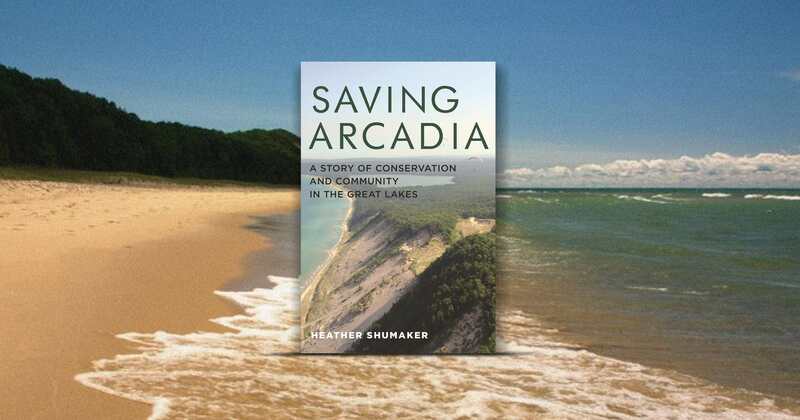 In her book, Saving Arcadia: A Story of Conservation and Community in the Great Lakes journalist and activist Heather Shumaker documented just how it all went down. In the interview below, she talks about what happened and how she wrote it. Many of us wonder how we can fight government climate denial and corporate greed trumping the environment. Your book is about taking action. Is it a blueprint for other citizens’ groups? 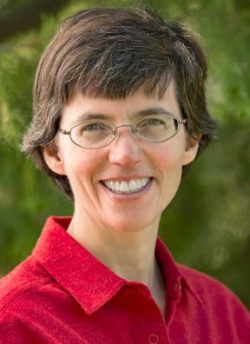 It’s certainly meant as an inspiration for local citizens’ groups across the nation, particularly land trusts, or land conservancies, groups that are often on the front lines of saving wild land, farm land and trails. It takes grit, organization, persistence, good thinkers, time, money and a big dose of passion, but if you spread the net wide enough you will gather the community you need. There is a drive for profit, but corporate allies are critical to environmental causes and can be some of the earth’s strongest partners. Find the people who can open these doors. Our reviewer praised your book not only for its content, but for the way you told the story. 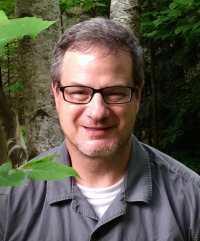 What’s the secret to writing such successful creative nonfiction? Maybe it comes from reading too many novels! I wanted Arcadia’s story to read like a novel, to keep the energy and suspense of a novel even though I was describing real events. So I had to create scenes, just like fiction, immerse readers in those scenes and end chapters with cliffhangers. I also had to search for details. Precise details bring scenes and characters to life, so that meant endless interviews, re-interviewing and fact-checking. If the scene demands a detail you need to research the answer. That’s what makes creative nonfiction tremendously time-consuming to write. Do we really need to choose between economic development and the environment? Some parts of the Arcadia Dunes landscape are wilderness, some parts allow sustainable forestry, and still others are owned by family farmers who raise cherries and Christmas trees. A landscape is natural ecosystem but most are also part of a human and economic ecosystem. The sustainable trails at Arcadia Dunes are also drawing tourism dollars from hikers and mountain bikers who make it a destination. How was the experience of working with Wayne State University Press? Wayne State University Press has been great. They understood the book immediately, and enhanced it with beautiful maps, images and design. They’ve been supportive through every step of publishing and have a dedicated team of talent there. You also write books about parenting that challenge some conventional ideas. What’s the biggest myth about parenting? There are so many! But since my first book is titled It’s OK Not to Share, I’ll mention sharing. We’re all anxious to get young children to share, but the way we go about it – forcing kids to share – unfortunately backfires. Forced sharing feels terrible, and kids won’t do it if we’re not watching. On the other hand, letting a child keep a toy until she’s all done, and letting her experience firsthand the joy of giving the toy to a waiting child helps develop true generosity. My books tip standard notions of parenting upside down.